I have recently been pondering ‘poke etiquette’ on the evil that is Facebook. What is the meaning of a poke? There are a handful of people who regularly poke me on FB *waves* you know who you are – and maybe you can provide the answer?! 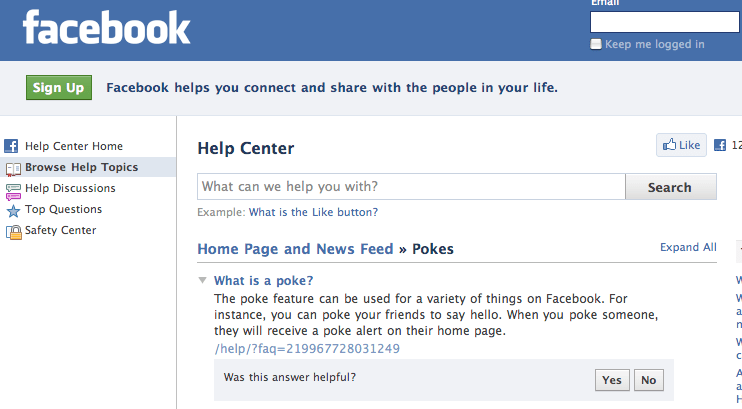 Which then made me worry, if I don’t poke back is it rude/impolite? If I do poke back am I effectively rubbing my knees Vic Reeves stylee and saying c’mon then big boy? Lol, no idea to be honest. I just ignore all pokes as I do not undertsand them but what M2M says makes sense as many of mine are from guys from my past! Will have to do a quick survey and see if it’s only blasts from the past who poke! if were rubbing your knees vic reeves style wouldn’t that make you a man? I suggest more akin to wipping up your skirt to show the lacy tops of your hold ups and pouting suggestively….in any case not a good idea unless you want to rekindle some long lost teenage hot lust….mmm, don’t get me started. Should We Check Childrens’ BMI?